How are Homebuyers Searching Online for a Home? So nice to see the real estate markets recover after the longest stretch of poor performance ever. It’s wonderful to see sales volumes rising and the growth of buyers and sellers increasing. So it’s time to shed the negativity and start getting into what it takes to be successful online. The growth of the economy is spawning new interest in home shopping via Google search. Buyers and future buyers are also searching on big real estate portals too. In each case, a search algorithm determines whose website, social page, or listings are seen. How you write your web and social content will determine how much search traffic you’ll receive. In this post, we take an initial look at the importance of keywords. Organic search is still the number 1 source of digital leads for realtors. In my digital marketing audits, I include a keyword report to help guide topical development and SEO strategy. You should take time to consider SEO issues and how you can get your site going. A few years back, my keyword optimization gave my real estate client about 600 visitors per day. Today, it’s a tougher challenge with Google’s tough algo updates and increased competition. The goal is still perhaps the most important — conquer Google’s rankings. How? By researching and creating fresh, valuable and relevant content. Web search has changed considerably in the last 7 years yet searchers are still loyal to Google and conduct billions of searches every year. When consumers shop for a home, they’re amidst big life changes and buying other products and services. Those expenditures drove the economy in the past. That context means there are multiple ways to intercept them to deliver your message. Searches on smartphones are growing considerably. Searches for real estate are a just a smidgen of what they were a decade ago, but it indicates the market ahead could be 3X what it is right now. And young millennial buyers still have yet to enter the home buying market. They’ll require a slightly different approach in content and style. All this has to be considered as you develop your market positioning strategy for the next 5 years. And on the topic of search, Google’s homes report reminds us that prospective homebuyers begin their search 6 to 12 months in advance of purchasing. A long buy cycle which gives you a good amount of time to intercept them in mid-search. And they’re searching via smartphone. Is your content positioned to put you in the drivers seat? House hunters used their mobile device most to search for listings and find directions while out looking for a home (Google Consumer Survey, April 2014). What do the Keywords Tell Us? These volume estimates below show generic searches for real estate are declining, yet more specific searches such as “homes for sale” have doubled in the last 10 years. It appears you’ll want to focus your keyword strategy around these more unique keyword phrases. Although California typically dominates real estate, you can see interest rising in the southeastern states. Houses for rent is the fastest growing phrase and probably one that realtors might want to target. Engaging with these future buyers is smart positioning. Suffice to say, homebuyers are searching on Google (and Zillow, Realtor.com, and Trulia and a number of real estate portals) and the growth of searches will rise. An investment in search engine optimization and content development will pay off in time, and typically it is fruitful within a few months. 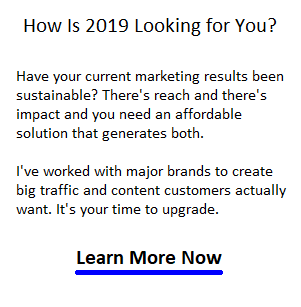 Combine your Google rankings with excellent content strategy and engaging social interaction and you’re building the most solid marketing machine possible.